Hi, I’m Nat. I am moving in to the daglig leder position that has been done so well by Kjersti for the first few years of this young andelsgård, Dysterjordet. She’s invited me to introduce myself now, as I’ll take over from her in 2018. I’ve been living on a farm outside of Ås for just over a year now. I moved here to study a master’s degree in agroecology at NMBU because of its excellent reputation in this broad subject and in international development. So, I now have one foot in NMBU’s plant sciences where I study and also co-teach the course ‘Urbant Landbruk’, and I have my other foot in Noragric through whom I’m doing my thesis research on some specific women rice farmers in Southern Vietnam. 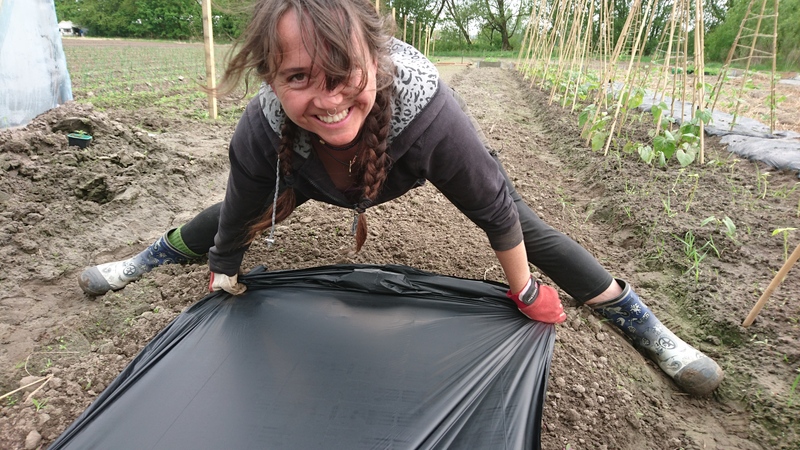 For those of you who haven’t heard, Agroecology is the “ecology of a food system”; a field of study, an ethical and environmental approach to growing and consumption, and a social movement for local and global food justice. 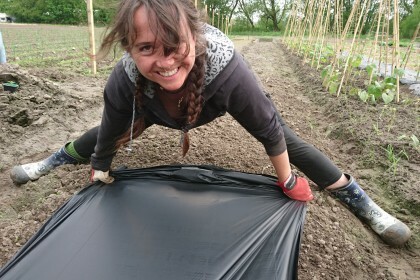 Andelsgårder are fine examples of a community connected to the land and the seasons, and actively creating a valuable element of their own food sovereignty. I’ve been part of such endeavours in various forms all my adult life and I’m just so pleased to begin working for the members and the board of Dysterjordet very soon because of the importance I place in participating in such community efforts. I’m Australian and I grew up in a farming family on farms at first in Australia, then Saudi Arabia, Sudan and Botswana. When I started uni in Canberra in the early 2000’s I volunteered in one of Australia’s biggest and oldest food co-operatives and after a few years I became assistant manager there. I also joined my first community garden during that time and learned hands-on organics skills. Since then I’ve worked in environmental activism, social justice and community development campaigns and projects in different parts of the world; always with a solid connection to my local food system. I have huge respect for our earth’s natural systems and it just makes sense that we eat seasonally, and that we connect with our local growers. So I’ve become a farmer-for-hire and a small food business owner myself. Last year I managed a market garden in Fredrikstad; everything from planning and design, to harvest and sales. I understand the challenges and the joys of food producing, processing and getting it into the hands of consumers. My favourite parts of the process are watching the plants as they grow and facilitating people to understand where their food comes from. I’ll meet many of you for the first time in our February Annual General Meeting, but if you see me around say Hi! And if you want to send through ideas for or reflections on Dysterjordet andelsgård, feel free to get in touch before the meeting by using the email andelslandbruk@dysterjordet.no. Enjoy the Winter Solstice, God Jul and Happy New Year!